“Pop! Pop! Pop!” was the sound that I heard coming from my machine as I worked on my Children at Play quilt. I checked to see if there was any lint caught under the stitch plate. Nothing. I checked to see that the thread was in properly. It looked okay. I checked to see that the needle was inserted properly. That looked fine. But still the popping sound continued every time I sewed. It had been a while. I know that you’re supposed to change your needle every 4-6 hours of sewing time, but I can never figure out exactly how long that is. Usually seeing my stitches start to look funny is a reminder that I need a new needle. To see if my needle was the culprit of this weird sound, I popped in a new needle. And would you believe that’s all it took to bring my machine back to its usual purr? So just in case your machine starts to sound a little funny, you may want to pop in a new needle to stop your machine from complaining. I definitely do not change my needle often enough. Glad you're back on track! I haven't changed my needle often, but boy does it make a difference when I take the time to do it! I changed my needle this last weekend and usually put in a new one every time I start to machine quilt. Since I do that pretty regularly between all my piecing, it seems to work! I feel like changing my needle is the equivalent of rebooting my computer! I am so terrible at remembering to change the needle. 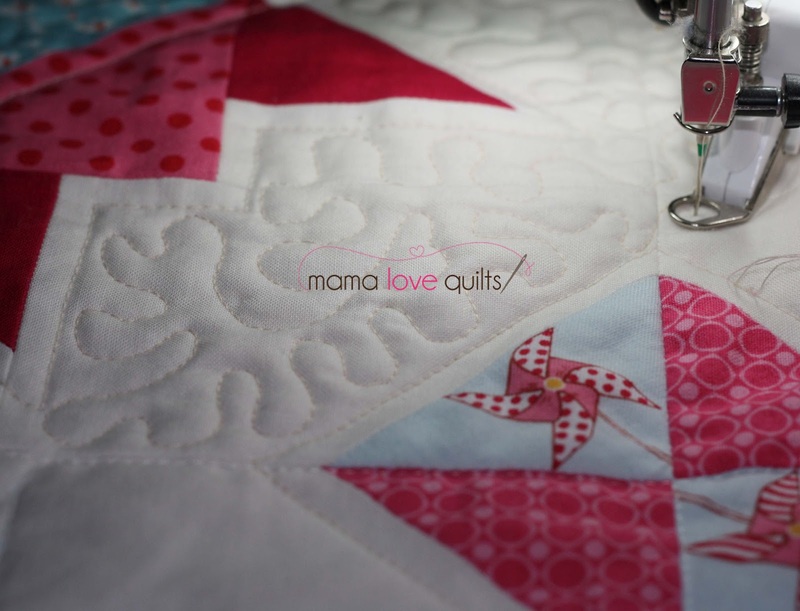 I've gotten better at changing before I start quilting a big project, but little stuff…. And yet, i'm always amazed at how big a difference it makes. I try to change to a new needle at the beginning of each new project and for sure before I begin quilting a quilt. I sometimes get a crunching sound when sewing. Like dry rubbing on something. I know it is time to clean the bobbin compartment and add a drop of oil. I hate taking it all apart but each time I do, problem solved. Annoying sound goes away.